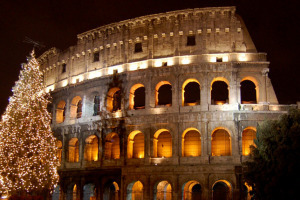 GLESUS offers you a variety of New Year’s trips to Rome with visits to the most unusual exhibitions of various nativity scenes (from the ancient 13th century to the entire congregation of nativity scenes from around the world) to the most “delicious” sweet pauses and unforgettable New Year’s shopping. 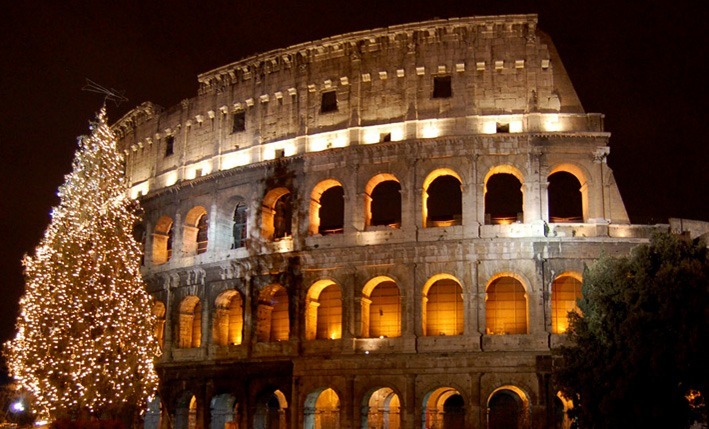 The primary focus of this excursion is the sights of Rome, where the most important and beautiful Christmas nativity scenes are on display. The display of nativity scenes is an ancient Italian tradition. Almost every family has a nativity scene placed near the Christmas tree and the shops are filled not only with holiday toys and ornaments, but also in skillfully created figures which Italians each year add to their home collections. From mid- December, in churches and cathedrals, the central squares and shops exhibit special, often very valuable and unique nativity scenes. Evening excursion, during which you will be treated to a real Christmas tale, filled with a myriad of colored lights and hundreds of fabulous garlands and a visit to an elegant, baroque square in Rome with Christmas markets and nativity scenes, Christmas trees sparkling and cheerful street musicians, all in an atmosphere of enticing shop windows glittering like a kaleidoscope. The sweetest tour of Baroque and Roccoco Rome – the era of luxury and extravagance, when the tradition of hot chocolate was enjoyed in salons by Roman princes and princesses. Walking through the festively decorated city center, enjoying the magnificent squares and fountains and inhaling the rich aroma of Christmas sweets, you will make several stops in the fabulous boutiques and original chocolate coffee bars, where you will be offered hot chocolate and different types of Christmas torrone praline candy, accompanied by a glass of red wine.